The Type 87 anti-aircraft gun entered into service in the Japanese Self-Defense Forces as a replacement for the hopelessly outdated American Duster SPAAG. The specification and concept for the new anti-aircraft vehicle was based on the German Gepard SPAAG that our players know so well. The vehicle used a modified Type 74 tank chassis and was equipped with the Oerlikon 35 mm twin cannon system as used in the Gepard. The vehicle was a success – more than 50 of these SPAAGs were put into production and several units remain in service today. 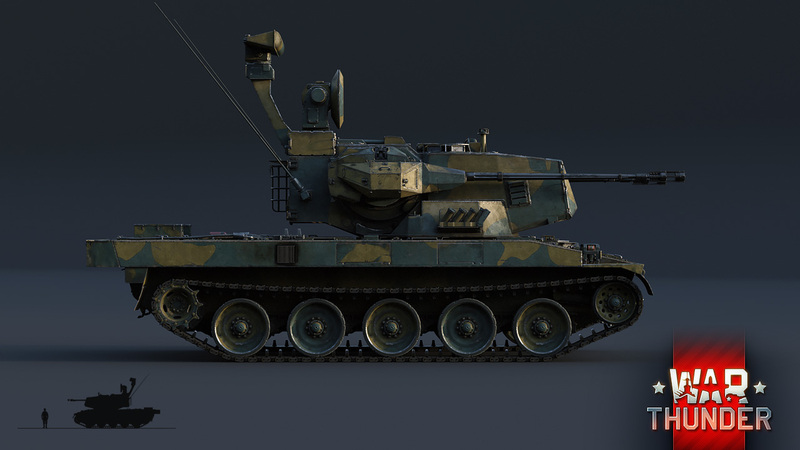 In War Thunder, the Type 87 SPAAG will take its place on rank V of the Japanese armoured vehicles research tree. 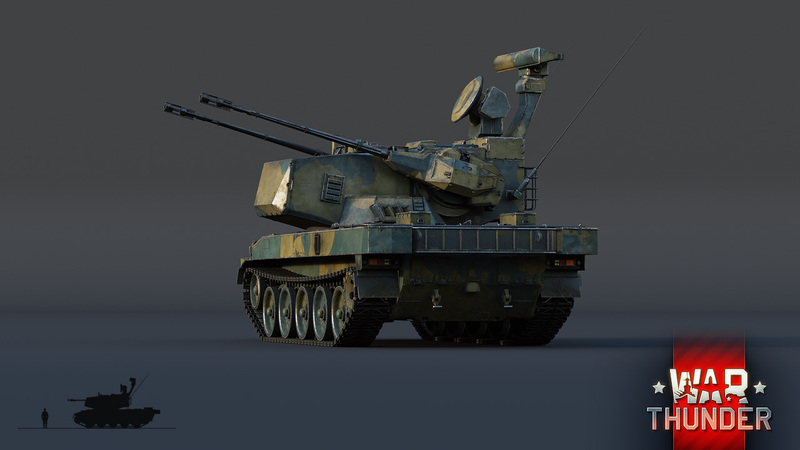 In addition to fighting against aerial threats, the Type 87 can try its luck by attacking ground vehicles – for these purposes it’s preferable to research APCR ammo. You’d better not attack enemy tanks directly head-on, but the lightly armoured sides and rear of many top tanks are pretty much vulnerable to a heavy burst of 35 mm armour-piercing rounds. Needless to say, the Type 87’s place is not at the tip of the spear – its light bulletproof armour makes it easy prey even for aircraft cannons, and it only has a three-man crew. But its decent mobility and speed, passed on from the Type 74, allow the Type 87 to quickly reach cover or attack opponents from the side – and a seasoned commander will make good use of this capability! The Type 87 SPAAG will be added to the game in the upcoming major update – follow the news! They just came it the game. come on morkiz. don't be stupid. 35mm sushi launcher, the emperor would be proud. Mai said it had composite armour, so...? There was no data provided on any composite Armour for the Type 87.
why would an SPAA, that is supposed not to get shot at in the first place, have any advanced armor? Very nice and needed addition! I always enjoyed playing AA vehicles. But one question, any chance to finally see the He 177? We've been waiting for years! Don't need to go that far, the Kampfpanzer 70 is pretty scary already (Rumor Round-Up thread : no, don't take that as a hint :D ). Ouiche, *insert non official hype"
Well I mean the Swingfire missiles present in game are from the 90's so it's a bit late to pull that card. Type 74 chassis - so the Type 87 will have a hydraulic suspension?